Have fun this April Vacation with Day of Dance!!! Join us for a family friendly performance that will have you tapping you feet & dancing in your seat!!! Our 2019 Summer Programs have been announced! We have great NEW options for all ages & interests! Stay Summer Strong at Dance It Up! Exquisite Gifts for any special occasion! 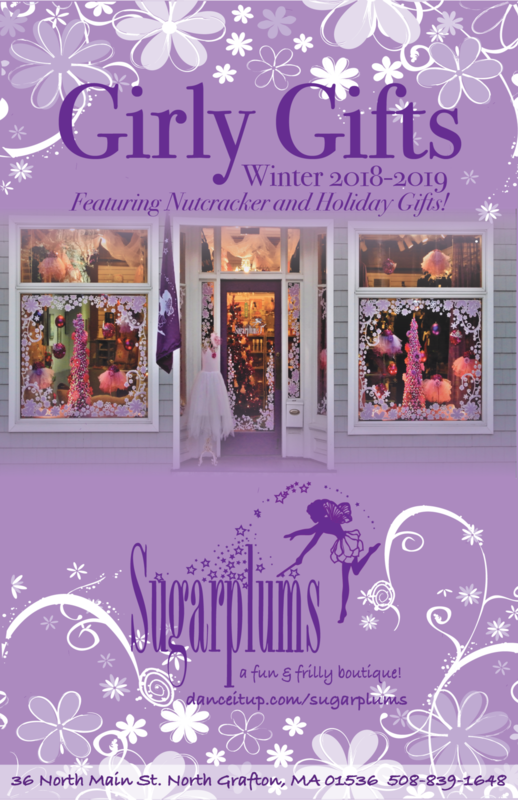 Pick yours up today in Sugarplums or visit Sugarplums Online - where most of the items can be found! Here is a little more about Dance It Up! View A Day in the Life at Dance It Up! Please give us a call at 508.839.1648 or email danceitup@danceitup.com with any questions.